KEISHA: Welcome back to What's The 411Sports! We’re in a New York state of mind with our New York Sports Report. Now, Mike, the NBA regular season is upon us. So why don't we just take a quick look at the preseason for both the Nets and the Knicks and give our impressions. MIKE: Sure. I think the Knicks are certain. We'll start with the Knicks, they have their work cut out for them. Right? Because (Kristaps) Porzingis is not going to be healthy and that's really going to hurt them and I think one of the things that Knicks fans…you're going to start to see as they get 15 to 20 games into the season and they're going to struggle. Then, we are going to hear the word tank, absolutely; you're going to hear it a lot because that's what the Knick fans are going to be leaning towards. I think from what the Knicks have put together, this group, and this roster, it's not necessarily…it's something you know team that's going to be able to compete for the playoffs and it was a tough year that they had last season as well. You got a first-year head coach. You know, you have a couple pieces that you can work with. But, I think, for the most part, it's going to be a difficult, difficult season for the New York Knicks. You're going to see regression not progression and I really do believe that. 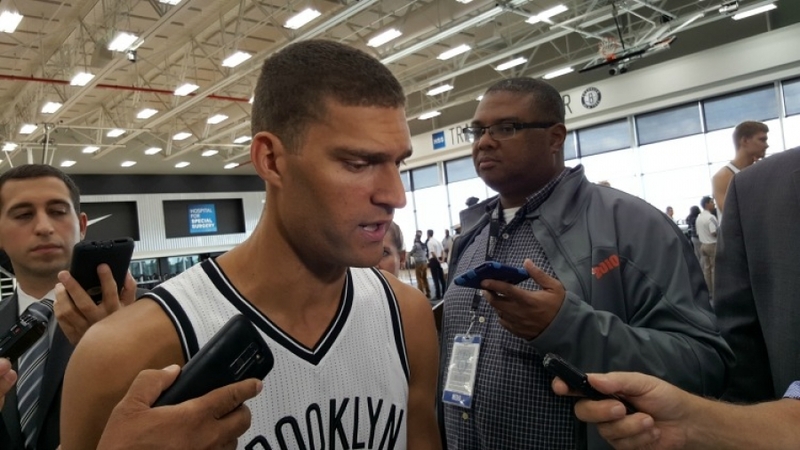 MIKE: Now as far as the Brooklyn Nets, I think that there will be some progress. I'm not sure how much, but I think that this is a team that, remember two to three years ago, was at the bottom of the barrel in the NBA, worst team in the NBA. And, then you get no reward by being the worst team because they weren't even getting draft picks. 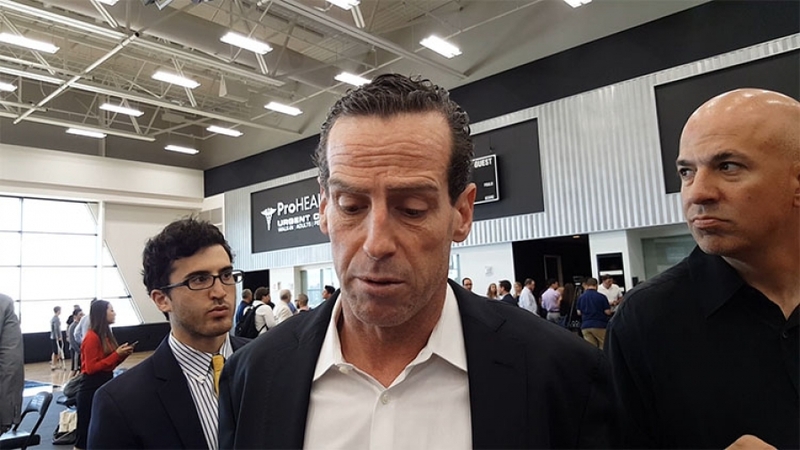 I think what they've been able to do with Sean Marks, okay and Kenny Atkinson. I think that they've put a good culture in place for this team. I think that they will compete. Making the playoffs is going to be very difficult. 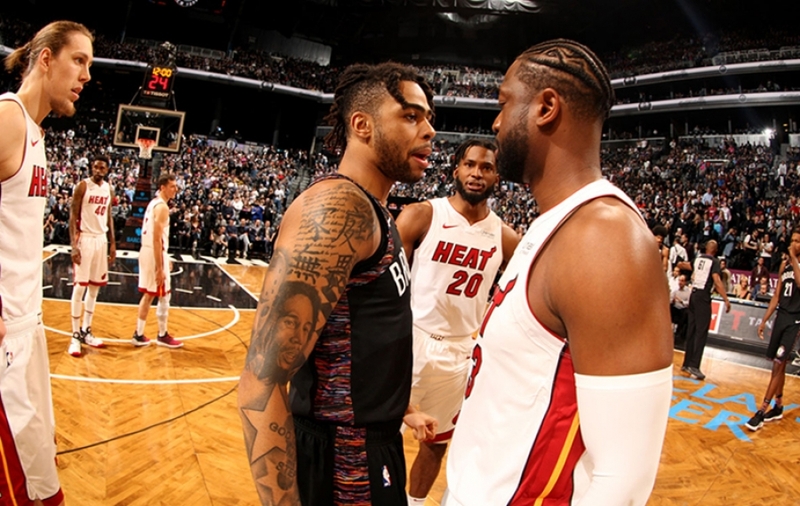 We've discussed this several times over the course of the last month or so how you know what the expectations will be for the Brooklyn Nets. But I think this is a team that despite these dismal records that they put out the last couple of seasons, there have been some games that they've competed in and I don't mean just against like some of the other poor teams in the NBA even against some of the good teams. So I think that the expectations for the Nets should be a little bit more optimistic than it is across the river for the Knicks. KEISHA: Well, we're going to see a lot from the Knicks in terms of this is going to be Coach David Fizdale’s inaugural season as the New York Knicks head coach. And, we're going to see how well he handles the bright lights of the big city because they're going to shine bright. And, the New York City media is harsh, they can be harsh. So I mean it's going to be a rebuilding, it's going to be…they already know that they have a lot of young talent and they're really going to build their team through the draft and so they're going to see these young people develop and grow. And, it's up to them to nurture that growth and we're going to see what is going to become of Kevin Knox. You remember, he was booed mercilessly during the draft, a la Kristaps Porzingis and we saw what how Kristaps handled it and what he was able to do during his rookie season. So maybe you know, maybe history will repeat itself and Kevin Knox can be the shining, the shiny star on the New York Knicks. KEISHA: And then, also with the Brooklyn Nets, you know, you hit it on the head. This is a team that's rebuilding and they’re getting better. Each season’s going to be incremental. We're not going to really talk playoffs because I just don't think that's realistic. But, they're definitely in position to win more games this coming season than last. They have a lot of depth on the team, a lot of ball handlers, a lot of shooters. And, Kenny Atkinson is really harping on defense. And, it is believed that D'Angelo Russell will have a breakout season, like this will be the year for him. What will be the aftermath following the Khabib Nurmagomedov and Conor McGregor fight? • The Jimmy Butler saga continues. At last count, the Miami Heat and the L.A Clippers were vying for Jimmy Butler’s services. What’s complicating Butler’s trade is that Gorgui Dieng must be part of the deal. Q. Will the Minnesota Timberwolves deal Jimmy Butler before the start of the NBA season? • Kyrie Irving is the man! First, Jimmy Butler, now it’s Anthony Davis that says he wants to play with Kyrie Irving in Boston. According to league sources, Davis will probably end up with the Celtics or the Los Angeles Lakers. Q. Let’s dream a bit, can you imagine a Boston team with Kyrie Irving, Jimmy Butler, and Anthony Davis? If not Boston, where would you rather see Anthony Davis? • Billed as one of the most significant fights in UFC history. Khabib Nurmagomedov and Conor McGregor had their very anticipated showdown and Khabib won. Q. What was not expected was the fight’s aftermath. Should the fight organizers have been more prepared for a potential melee? • LeBron James was considering joining the Toronto Raptors before he finalized his move to the Los Angeles Lakers this summer. According to Joe Vardon of The Athletic, it seems both sides were interested in reaching an agreement. • The family of NFL Hall of Fame linebacker Junior Seau has settled their wrongful death lawsuit against the NFL. Seau died from suicide at the age of 43; his death followed a long battle with chronic traumatic encephalopathy, or CTE, a degenerative brain disease linked to repeated hits to the head. • Drew Brees passes Peyton Manning as NFL's all-time passing leader: New Orleans Saint quarterback Drew Brees broke Peyton Manning's record of 71,940 career passing yards with a 62-yard touchdown pass to rookie receiver Tre’Quan Smith in the second quarter of a game against Washington. New Orleans defeated Washington 43-19, ouch!!! • Former Louisville men’s basketball head coach, Rick Pitino, has been promoting his new book, entitled Pitino: My Story. He says he never wants to coach basketball again. Q. Do you believe Pitino? • Houston Rockets guard Chris Paul has taken offense to the criticisms of fellow teammate, Carmelo Anthony, calling the criticism of Melo disrespectful. Q. Do you think Chris Paul is right that the media may have gone too far with their assessment of Carmelo Anthony? What’s The 411’s Photo of the Week is a photo of Saquon Barkley making a touchdown during the New York Giants game against the New Orleans Saints at MetLife Stadium. 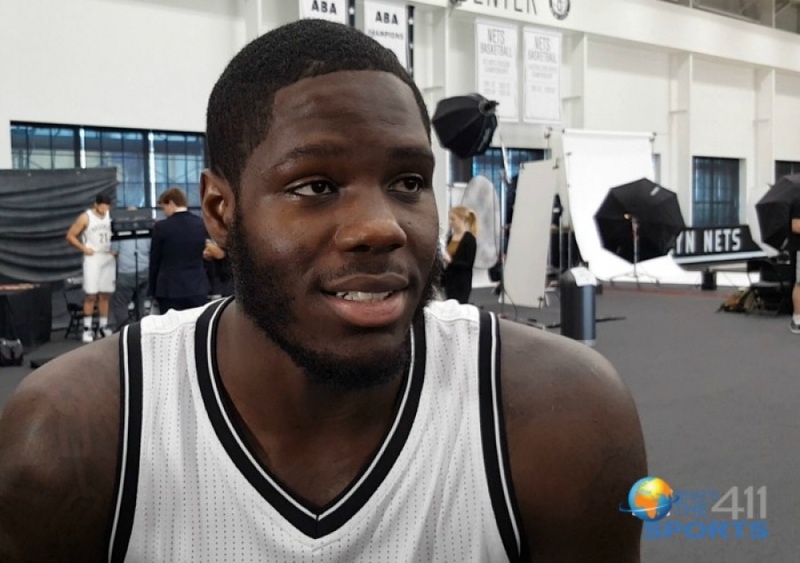 • We have a preseason look at the Brooklyn Nets and the New York Knicks. • New York Yankees Update: The Yankees made it into the ALDS and will play the Boston Red Sox in Game 4 tonight. • Discord has visited upon the NY Giants. Q. Are the New York Giants on the brink of falling apart? Summer vacation is officially over, and Khloe Kardashian was headed back to Cleveland to be with baby True’s father, Cleveland Cavaliers forward Tristan Thompson and decided to stay in Los Angeles. 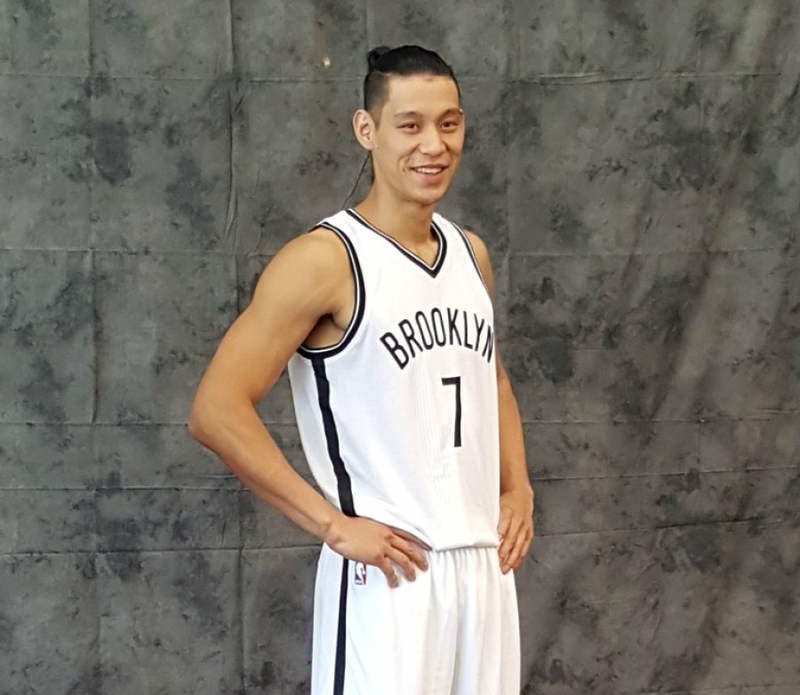 Granted it's a preseason game, in a new season, but the Brooklyn Nets still look like the team of last season. 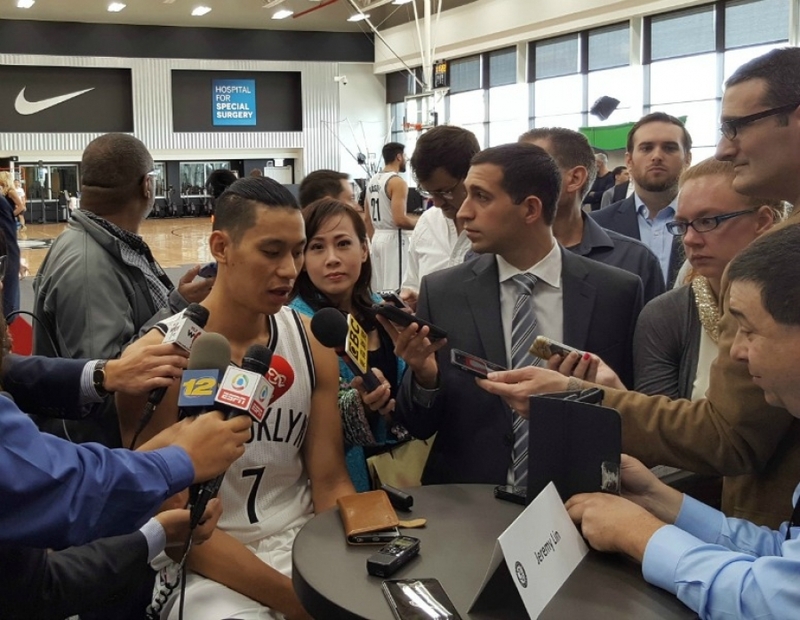 The first competitive game for the Brooklyn Nets in the 2018-19 NBA season was held at the Barclays Center tonight against its East River rival, the New York Knicks. The one thing that was different from the very start was that a Brooklyn Brigade fan group showed up in full force and cheered the Nets from start to finish shutting down any Knicks’ fans in the audience. Believe me, this is a first. At one Knicks game last season, when I checked in on Facebook, the app thought I was at Madison Square Garden and would not allow me to put in the Barclays Center. Tonight the Nets got off to a good start, which isn’t unusual, leading by as much as 15 points with 1:04 left in the first quarter. But in the closing minute of the first quarter, New York Knicks guard Frank Ntilikina put up a three-pointer at the 50-second mark. Nets guard Joe Harris missed a 3-point jumper with 35 seconds left, and Knicks guard Allonzo Trier added another three points at the buzzer, ending the first quarter with a score of Nets 26 and the Knicks 17. During the second stanza, with just under eight minutes left to play in the half, the Nets had a 15-point lead (38-23). However, the New York Knicks found cracks in the armor and little by little chipped away to end the first-half 50-46. 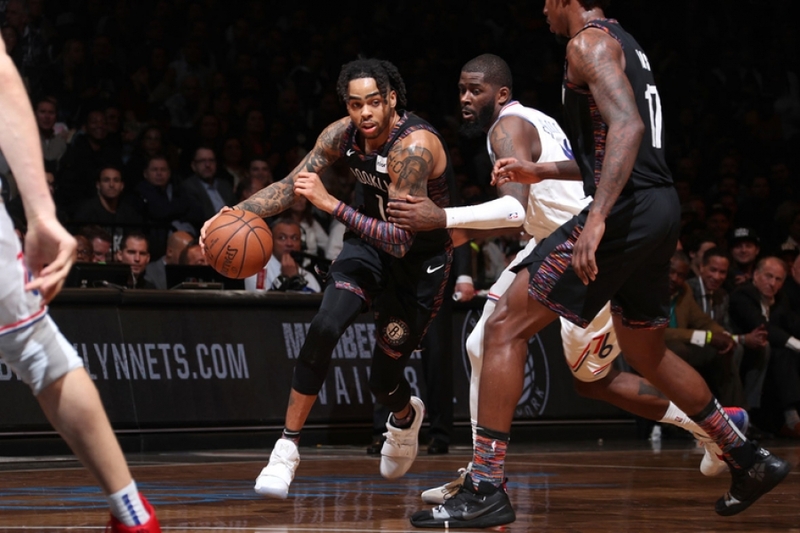 The reverse of fortunes continued into the third, when the Knicks went up 10, ending the third quarter with a score of 81-71. The Nets tried to claw their way back in the fourth quarter and came within one point (99-98) at the 2:26 mark, however, turnovers and defensive pressure on the part of the Knicks at the end of the day is what contributed to the Nets demise in Preseason Game 1, ending with a hurtful 107-102. 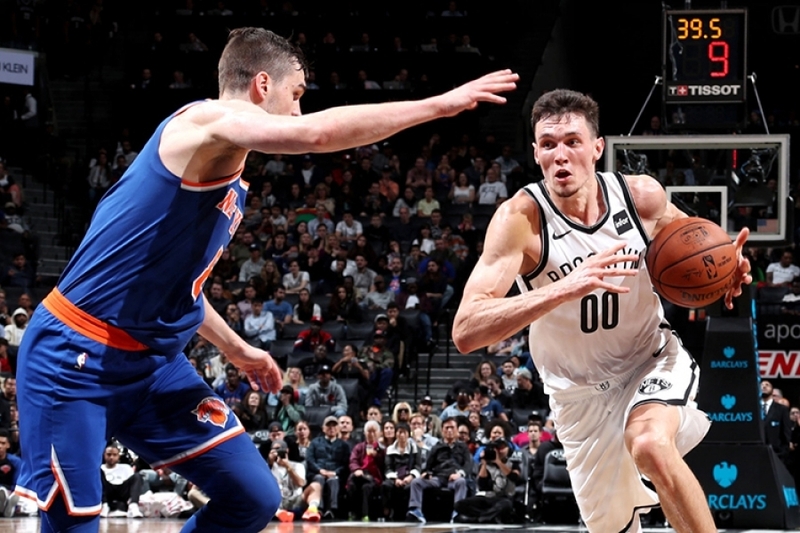 In adversity, there is generally a silver lining somewhere, and Net rookie Rodions Kurucs was it. During the closing minutes of the fourth quarter, Kurucs got his first opportunity to play in an NBA game and he was pushing for a real comeback. Kurucs scored 13 points in 12 minutes. Russell was not surprised by Kurucs’ deliverables. Kurucs was drafted by the Brooklyn Nets in the 2018 NBA Draft in the second round (40th overall). And, from tonight’s performance, he’s definitely one to watch this season. The Nets had six players to score in double digits. Caris LeVert led the Nets with 15 points and four steals. Both Spencer Dinwiddie and Kurucs scored 13 points. Dinwiddie added six assists, while Kurucs added four rebounds and four steals. Russell and Treveon Graham each tallied 11 points. Russell added three rebounds and three assists, while, Graham secured eight rebounds and three assists. Joe Harris chipped in 10 points and three rebounds. For the Knicks, Allonzo Trier led all scorers with 25 points and four rebounds; his teammate, Enes Kanter contributed 22 points and 20 rebounds. Next up, for the Knicks, are the New Orleans Pelicans at home at Madison Square Garden on Friday, October 5, 2018. The Nets travel to Detroit to take on the Pistons on Monday, October 8, 2018. 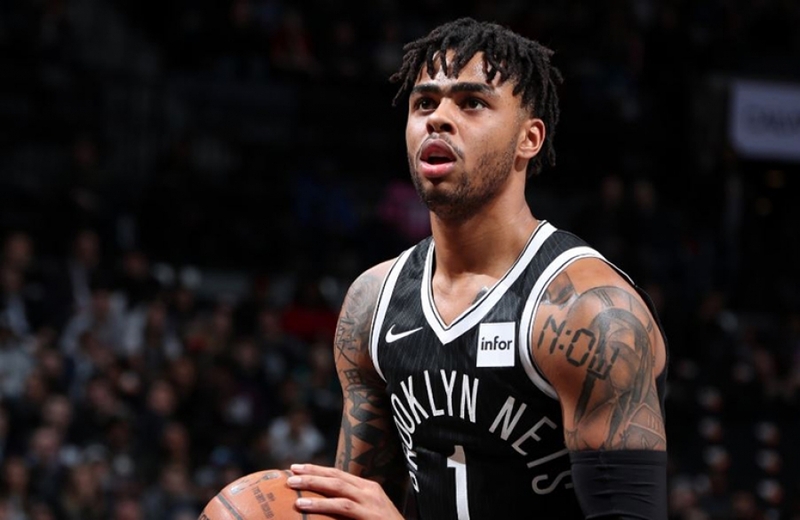 The Nets first regular season game at home will be against the New York Knicks on Friday, October 19, 2018. KEISHA: Welcome back to What's The 411Sports? I'm going to start off this segment by just asking a simple question. Why don't people want to play with LeBron James? MIKE: Well, I think there's a few reasons. I mean, you know. One reason is that LeBron James has made the NBA finals every season since 2011 and I feel like when you're on a team where it's NBA finals or bust, it almost takes some of the fun out of playing, right, because you have this high-pressure mentality. So there's no question that the, you know, the pressure is always on when you're playing with LeBron James. The other thing is that LeBron James has never been one to shy away from throwing his teammates and coaches under the bus, right? He's had a history of doing this throughout his whole career and the evidence is it's proven. But I think that it's easy to say people don't necessarily like playing with LeBron James, but what about like you go ask a guy like Mike Miller who really resurrected his career by playing with the Miami Heat where they won those two championships. I guarantee you that if you were to ask him. Did you enjoy playing with LeBron James? Of course, the big thing with LeBron James is he makes his teammates better? I think that's the number one reason why he's the top player in the NBA, is because the other four guys that are on the court with him automatically become better players because LeBron can hit them when they're open. LeBron plays such good defense that he's going to find the open man when he makes a steal. He's very good on the fast break despite the fact that he's getting up there in years. But I think also, you know LeBron has never one to shy away from controversy. So there's always some drama that surrounds him. But I think it's easy to jump on him and say people don't like LeBron people don't want to necessarily play with LeBron but that isn't the case. Remember how excited the Cleveland Cavs were specifically Kevin Love when he found out that he was going to be teaming up with LeBron James and I know that kind of played out a little bit differently. They did wind up winning a championship together, but I think it's a mixed bag. I think that there are some players that would not want to play with LeBron. They don't want to have that scrutiny, but then I think that there are guys that would definitely salivate at the idea of teaming up with one of the greatest players of all time. KEISHA: LeBron is such a presence. I mean, he just, just because of who he is. He's just otherworldly talented and he is a superstar and uber superstar. If you just want to put it even higher and in a League that is driven by stars, what he wants he's going to get, people are going to cater to him. Even Magic Johnson and company at the Lakers they're going to make sure that LeBron James is happy. When they were courting him, Magic Johnson showed up I mean, at least I think an hour earlier, or so before he was going to meet LeBron James because he knew it was that important that he didn't miss that opportunity to meet with him and talk to him and convince him to join the Lakers. Now. I think that if you are a star and a superstar in your own right, it becomes difficult to play with LeBron because it's not going to be your team. And, you know, there's ego involved. There's machismo, like I'm just as good as you, in theory. Why can't I get this? Why can't this be my team? Why am I automatically pushed aside? So I think that's why you have people like Kyrie Irving and maybe Kawhi Leonard, Jimmy Butler, stars and superstars in their own right who don't want to be part of the LeBron James Show. KEISHA: Because they're going to be the supporting cast. When I was reading some articles the one thing that somebody said was that in order to play with LeBron James you have to specialize in something. You have to suppress some parts of your game to fit in with him and what that does for you long-term, who knows, you know, if you don't use it, you lose it I guess. MIKE: The NBA decided not to ban Mark Cuban despite multiple sexual harassment charges that have arisen within the Mavericks organization. Keisha, did the NBA do the right thing here? KEISHA: Well, there were two factors that Adam Silver the commissioner of the NBA pointed to as to why he chose this punishment for Mark Cuban. One, it was determined that Cuban wasn't involved directly in the harassment and two, Cuban was very transparent during the investigation process. And then after the report was issued or maybe while the report was being compiled that Cuban and the Mavericks instituted sweeping changes rather quickly to prevent this from happening again. But you know, I was really surprised and I found the punishment to be a little lenient especially given the extent of the allegations and the duration of this institutionalized behavior. And, I find it hard to believe that over the course of two decades that Mark Cuban didn't know anything, not even a whisper. I just don't know how it could be this rampant. We're not talking about one or two cases where maybe it was kind of easy maybe to push it under the rug or there wouldn't be a chatter. But you know, you're talking about 15 women and maybe even more that had issues and you know, Mark, I'm sorry Adam Silver mentioned, Cuban's absenteeism which I found a little interesting because if my memory serves me correctly Mark Cuban was thought of to be one of the most hands-on owners in the NBA. So I don't know how you can be hands-on but then not know that this is happening to you and you know in the era of this "me too" movement, I just thought that you know, we've seen actors and executives lose their jobs based on allegations alone, and then moving it to back to sports, you have the NCAA coaches have lost their jobs over the actions of their players and I'm not saying that Mark Cuban deserved to be banned or lost his team. But to me, writing a check for a billionaire is nothing. Ten million dollars to him it's not a lot. I mean it's gonna go to worthy causes and that they could use the money but I just don't feel as though the punishment fits the crime and just you know to sum it up, there's really not any amount of money that will ever equate to what these women experienced. I mean, I've experienced it firsthand myself and there's not, it's not, it's one of the worst feelings that you can have as a woman and probably as a human being to be the target of sexual harassment and you know, I just hope that in addition to the fines that you know, Adam Silver did speak to I think the Board of Governors or he did send out a memo and in that memo he used language urging not mandating but strongly recommending that other teams look at their houses and make sure that they have their ducks in a row and that they have safeguards against. MIKE: It's just a $10 million dollar slap on the wrist is the way that I see it. I think there certainly could have been a harsher penalty. Now, I'm not saying that they should have made Mark Cuban necessarily give up ownership of the team or I'm not sure what type of suspension or whether you can take away draft picks in a situation like this, but for him to go out and getting up granted he's giving this money to some good causes and it is 10 million dollars, but at the same time, I think that there could have definitely been a harsher penalty again. I don't know specifically what but I think that he certainly not only from our, but the Mavericks got off easy here. I think what's interesting with Mark Cuban is, remember, this is now someone who's become sort of this Golden Boy owner, right? Here's a guy that bought this team. He's the tech guy that became a multi-millionaire became a billionaire was able to buy the Dallas Mavericks. And ironically if you look back, back in the early mid-thousands, mid-2000s, he was always in the doghouse with the NBA front office and he sort of changed that whole dynamic in the way that his relationship is with the owners and with other owners, and of course with the commissioner as well. I'm not saying that that's what necessarily contributed to this sort of easy slap on the wrist that he got but there's no question that some changes could have been made. And the final thing that I'll say is, you know Sports Illustrated came out with this article talking about these allegations, but think back in February of this year in the report that they have. I think that some of this stuff that's been going on has even happened since that February article that was released in Sports Illustrated. So I think there's certainly some changes that the Mavericks definitely need to make and of course, Mark Cuban certainly made some mistakes here, but I think he's definitely got off a little bit easy. KEISHA: Yeah. I mean, I definitely. I think and hope that he's learned his lesson because if something like this happens again, I think even the smallest of infraction or even hint of harassment could open another Pandora's Box for him and he won't get off easily. And, there's no way he could and I don't think Adam Commissioner, Adam Commissioner, I mean Commissioner Adam Silver wouldn't allow it. 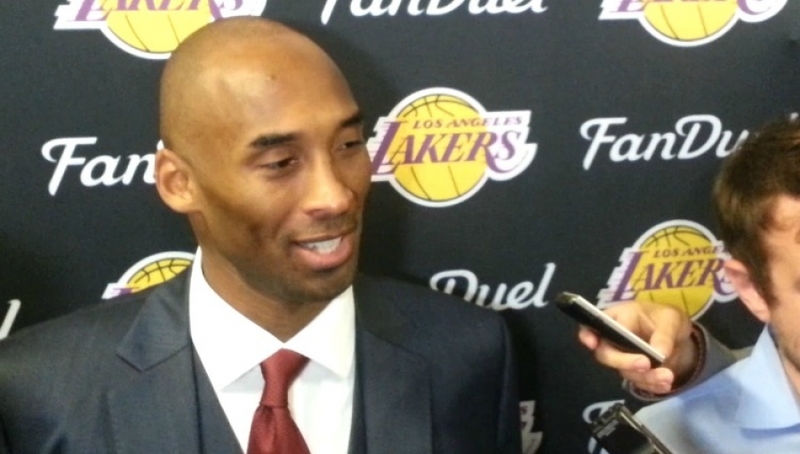 KEISHA: Adam Silver wouldn't be able to take that public hit on his image. KEISHA: So we're going to move from the hard courts of the NBA and we're going to go to the Gridiron of the NFL and we are going to talk about one of our favorite teams and one of our favorite players at least mine, and that's Odell Beckham Jr.
New York Giants wide receiver Odell Beckham Jr., told Kimberly A. Martin of Yahoo Sports that he feels like he can help out much more in the passing game to steer the Giants in the right direction. Mike, do you think that Odell Beckham is being utilized enough or is it the team's 1 - 2 to start that is causing Beckham to search for answers? MIKE: Well, the first game he was certainly utilized enough in the game against Jacksonville, no question about it against the toughest defense in the NFL, right now, that certainly he played a very good game and I thought that they gave him enough opportunities throughout that game. And then, of course, Game 2, I didn't think that they gave him, they looked at him enough in that loss where they lost that second game of the season. But, I felt like in Week 3, the offense was really clicking on all cylinders. And, I think a lot of that had to do with the offensive line. If the offensive line is playing well, there's no question that Eli Manning is going to get more and more opportunities to get Odell Beckham, Jr. the ball. The guy is a game changer. There's no question about that and they need him, you know, they certainly need him but Keisha what I'll finish with is it's going to be a tricky road for the next month of the Giants, you know, they face the New Orleans Saints and then they go and they have to play the Carolina Panthers they back that up on a short week against the Philadelphia Eagles and then play the Atlanta Falcons. Now, these are four teams that wound up making the playoffs last season, 3 out of the last four years, I think three of those four teams with the exception of New Orleans has won the NFC. KEISHA: I think the Saints were out last year right there. MIKE: Yeah, exactly. They lost to Minnesota (Vikings). I think in that crazy last-second miracle game. But I think for the Giants this is going to be a tough road ahead and it's going to be a tough test for Pat Shurmur and Odell Beckham, but I think that the biggest question mark they have is the offensive line at that offensive line, which really started to come around and that win against Houston if it's starting to play a lot better than Odell Beckham certainly will be happy. KEISHA: Yeah, definitely. I agree with you. I think that his, Odell's frustrations or his sentiment was based on that Dallas (Cowboys) game Week 2 where he only had four receptions in 51 yards. And I think you know the Giants offense has struggled scoring for the past couple of seasons. I mean the last time they scored 30 points in the game was January 3rd, 2016. That's a lot of football to happen and you can't score 30 points when you have an Odell Beckham Jr., when you have a Sterling Shepherd. At one point, they had Brandon Marshall, but he was gone within like the first couple of games of the season but when you have an Evan Engram when there's talent that you know, it's one of the best receiving corps in an NFL in if you can't score 30 points, there's an issue. The offensive line really rebounded and played well on the third game against the Houston Texans and there was a shift in the line where Ereck Flowers was sidelined. He was benched and that was a sigh of relief and probably jubilation for most of us who just really are shaking our heads as to why Ereck Flowers has been allowed to start this long. But, the offensive line is key. And you know, I think Odell was probably, maybe if you read between the lines he was talking to Eli because Eli has overthrown him or short-thrown him or haven't seen him wide open. So it's going to be imperative for Eli to be able to notice and fairly quickly because even with the better play from the offensive line, he's not going to have tons of time to just sit and scan for like 30 seconds, 10 seconds or whatever. So, you know Eli's got to make sure that he sees the field see it quickly and get and delivers the ball to him. And with Odell, it doesn't have to be a pinpoint precise pass just throw it somewhere in his area, he's gonna get it with those big hands he's got. And, then also, you know, it's going to be up to the offensive coordinator Mike Shula to make sure that he is running an offense that's going to get Odell involved. I mean and it doesn't necessarily I don't think you have to force feed it to him. I think because you have Sterling Shepard and you have Evan Engram who presents enough of a threat that you can pass the ball, so you're not forced feeding and showing your hand all the time. So, you know, if the game against the Houston Texans was any indication that how the season's going to go, Odell is going to be happy, Giants' fans are going to be happy. We're gonna win some games, maybe make a push for the playoffs and all will be right in New York City. KEISHA: Welcome to this week's edition of What's The 411Sports. I'm Keisha Wilson and I'm Mike McDonald. Mike, we have so much to talk about. So we're just going to get to it. The NBA season is upon us. And as of this taping, the Jimmy Butler saga continues. Butler is demanding a trade and he also said he's not going to show up for training camp nor was he present during the Timberwolves media day. Now, Timberwolves owner, Glen Taylor, had a demand of his own that Jimmy Butler is to be traded sooner than later, preferably before the start of training camp. Now, Jimmy is reportedly asking for a change to the Brooklyn Nets, the Clippers, and the New York Knicks. However, the Knicks are reportedly not interested in Butler's services. Now, Mike, you are a Knicks fan. News of the reported disinterest by the Knicks of having Jimmy Butler on their team is getting the fans livid. Do you think that the fans should be upset and are you upset if the Knicks pass on Jimmy Butler? MIKE: No, I'm not. I think for the Knicks, they really want to build for the future. And you know, from their standpoint, look, you can't bring on a guy like Jimmy Butler who's been struggling to play with some younger players and then you bring him onto the Knicks where they're also filled with the young roster as well. I think you're kind of just asking for trouble. I think what a lot of Knick fans are thinking here is they're looking at the numbers. They're looking at these fantastic, All-Star caliber numbers that Jimmy Butler has put up over the course of the last several seasons, but at the same time, I feel like it would not necessarily be a good fit for the Knicks. I think the plan is to build for the future. The Knicks right now are not necessarily a win now team and I think by giving up some of the pieces that they've sort of picked up over the course of the last several years, I think that that's going to wind up hurting them in a long run. Now, I get it, it is enticing to go after a guy like Butler bring him in try to get him signed up, right, and then at the same time, maybe try to make a push for Kyrie Irving when all is said and done. But I just think right now, the Knicks should stand pat and I don't see that they should go make a move for Jimmy Butler. KEISHA: I wholeheartedly agree, and according to Jeff Zillgitt of USA Today, reports of Butler's interest in the Knicks were overstated. So, allegedly, Butler wants to win sooner rather than later which would not put the Knicks in contention. And, which also makes the fact that Brooklyn Nets are on his list a head-scratcher, but that might be more for money because the Brooklyn Nets, have room to offer a max contract. So, I definitely agree with you. I don't think that the Knicks aren't interested. It's just that they're sticking to their philosophy. They have learned from the trade that brought Carmelo Anthony to New York City in exchange for pretty much decimating their future. They want, they have a new coach, they have new players, and they want to build a culture, and; they feel as though they want to build that culture through the young talent that they have and the draft picks that they have and maybe will acquire again. And, in terms of a trade, with (Kristaps) Porzingis not on the trading block, the Knicks don't have a lot to offer, so their next valuable assets are their draft picks. But they want to hold on to them. So they're going to take a calculated risk to see if they can get Jimmy Butler in free agency where they don't have to give up any of their assets for him. And then also, you know, like you mentioned, the fans are salivating over a possible Butler-Irving pairing in New York. However, If Jimmy Butler goes elsewhere, there goes that dream. And then Kyrie Irving has said on the record that he hadn't talked to you Jimmy Butler about that pairing or what his career is going to look like since 2016. So, Kyrie may not even want to come to New York. We don't know how his season with Boston will be this year and he may actually want to stay with a contender. MIKE: Yeah. Well, it's going to be interesting Keisha to see how it all plays out. MIKE: Well, Kelly Iko, the Houston Rockets beat reporter for The Athletic, reported on Twitter that Carmelo Anthony and PJ Tucker probably will not be seen on the floor together at the same time this season. According to the tweet from Rockets head coach Mike D'Antoni, he wants Carmelo on the floor when Tucker is off and vice versa. D'Antoni sees them both as fours. So, how is this going to work out? We all know that Carmelo does not want to come off the bench. Keisha, will there be harmony in Houston? KEISHA: Mike, I'm going to start off with a quote, "whatever I have to do to help this team win a championship. That's what's going to be done." Who said that, none other than Carmelo Anthony. Now, this is not a definite admission that he is willing to come off the bench. However, this is a move from the outright scoff that he gave when he was in Oklahoma City and a reporter mentioned him coming off the bench. He just pooh-poohed that right off the bat and basically told the reporter like, you don't know...that's just ridiculous, how dare you even mention it's ludicrous. Now, so we might be moving in the right direction. However, why is it that we must assume that Carmelo has to come off the bench? I know that he's you know, it seems like Carmelo is paying for the sins of Oklahoma City. I think that that wasn't the right fit for him and it showed, he had one of his worst seasons in his entire career and when I think about him being in New York before he went to OKC for that one year. He was still the Carmelo that we knew so I just found it hard to believe that his skills just dropped off that that quickly and that drastically. So he is with Houston now, he's with Chris Paul who was very close to him off the court. He spoke with Chris Paul and he spoke to James Harden and they play pick-up games and there seems to be a real flow, a real chemistry, and those two see how he can be effective within the Houston Rockets offense. But now, it's time for Mike D'Antoni head coach of the Rockets to show us what he can do. MIKE: Which if it was something that he didn't think that he could do, then the Rockets never would have gone after Carmelo Anthony in the offseason. I think that the Rockets have a nice team here, they make they came so close to getting the NBA Finals after losing to the Golden State Warriors in seven games last season. Look, I think, start or coming off the bench, Carmelo Anthony will have a big impact on this offense this season, there's no question about it. Keisha, as you pointed out the lack of production that he had in Oklahoma City last season, we saw that there's no question. But what do you expect when you're playing with a guy like Russell Westbrook and of course Paul George, so of course we expected that those numbers were going to decline in which they certainly did. Not to mention I kind of looked at Oklahoma City. Even though yeah, they made the playoffs and everything, but it was almost like it was a season in purgatory for him. He never looked comfortable in that uniform. He never really looked comfortable when he was on the court necessarily. He got off to a very good start those first 10 games I think with OKC but after like, you know a quarter of the season, his numbers started to tail off. He just didn't really seem like he was comfortable and then there was this whole thing was what was his actual role going to be. I think here in Houston, Mike D'Antoni has an opportunity to be very creative here and I think what's ultimately going to wind up happening is they will bring Carmelo off the bench. I think PJ Tucker, a guy who's one of if not, you know, he's one of the top five defensive players, top 10 defensive players in the NBA. The guy's a force, no question about that. I think he's got to keep him in the rotation. But we also got to remember, you know, injuries can happen things that you know that we don't expect. At the same time, the Rockets could be in the mix to make some upgrades once the season begins because they realize that they are a contender to go ahead and win the Western Conference. But I think like you pointed out, Mike D'Antoni, this is really up to him to kind of figure out what's going to be the best fit for this offense and for this team as they try to make a push to unseat the Golden State Warriors in the West.